Furniture removals from Newcastle, has now been made easy by Brisbane furniture removals. There are so many ways that you can relocate from Newcastle. You can get also household goods sent a great distance away. Furniture removals from Newcastle can be efficiently done due to Newcastle having a port as well. If you are thinking about relocating overseas you have a choice of air freight or sea freight. 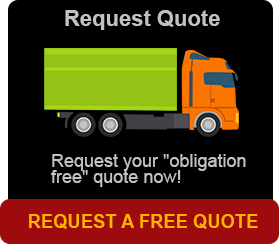 Sea freight is the cheapest method due to the time factor where air freight can be sometimes very costly. Some advantages for both and you will need to decide which ever best suits you. You need to look at the following, cost, how much stuff you have, when you would like your possessions to arrive etc. What sorts of restrictions are there on your possessions? 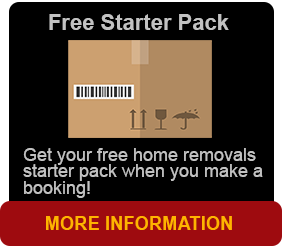 The type of removalist company that removes and has an option of household packing. Can you or will you do it yourself? Air Freight sometimes can be a cost effective way of transporting your possessions and belongings. The upside is speediness of the delivery which may be a great option if you have already pre-arranged some form of accommodation. This may be the best option if you are relocating to a land locked country or inland areas. The down side is the cost from both ports. There are a few options to consider in what type of sea freight that is ready available in Brisbane and Newcastle. If you have a big move, you may choose a full container load which we recommend. This usually involves the shipping company to come to your home, quoting and loading the container there. Everything will be fine as long as there is sufficient access to your belongings. Also there are options for your container being put through customs checked in front of you, giving the assurance that what is in your container after it leaves your sight. This stops the problem of foreign items that you may receive at the other end. If you don’t have a lot of items to ship but still a considerable amount then you may choose a group where the container is shared with other company clients that are shipping to the same destination. This option is however subject to availability. All shipments will be arranged and delivered to the closest port or terminal to where you are living, so you may have to arrange transportation from the port or dock to your home. What Goods Can You Fly or Ship Legally? You should also check the Customs regulations of your destination country for the list of prohibited items and goods. It is never ever too early to start packing up house. The last thing you want to happen is to be caught out on the day of your flight with cleaning out the shed or mowing the lawn! That each carton that you pack should be clearly be marked and labelled with a detailed inventory or list of its contents. This helps us at Newcastle moving and storage to pack the container appropriately, with customs unpacking at the other end. If there are any parking restrictions outside your home for the removal vehicle to pick up the container, you should notify us prior to the removal date. Perhaps arrange with next door neighbour to have space for parking as close as possible to your house. Make sure that your driveway is clear of any other motor vehicle. Appliances in the kitchen that are connected directly to the 240v power supply must be disconnected by an authorised electrician. Ensure that all fixtures and fittings are dismantled. These may include self assembly furniture, shelving, cabinets prior to packing. Fridges and freezers must be defrosted the day before shipping and wiped out with a cloth and vanilla essence. Consumables are usually prohibited. Prescription medicines as such, should be accompanied with a letter from your local GP. Works of Art should be packaged carefully and securely in special cartons. Televisions, radios, telecommunication devices etc, may be useless at your new address. Check this before and during packing. Check if firearms need an import permit for your new location or country. Outdoor equipment needs to be quarantined most of the time. When preparing it for shipment, make sure that you have cleaned all items thoroughly. When we are in your house moving and packing, make sure the baggage you are taking with you on your flight clearly separated from the stuff that you are shipping to your new home. This is called a priority box or bag where these are the necessity items you will need when you arrive. We can also give you a guide to this by phoning us, Monday to Friday 8am till 5pm Australian Eastern Standard Time (AEST).